Hell in Barbados is the powerful true story of a drug-addicted smuggler who found his salvation in the unlikeliest of places. Told with disarming honesty, the book propels the reader into the mind of an addict and shows us the depths of degradation one man sunk to before finding the inner strength to save himself. Terry Donaldson met with success early in life but his struggle with addiction soon became an all-out war. His Jekyll and Hyde lifestyle – TV presenter by day, whilst he scoured the streets of London in search of drugs and prostitutes by night – caused him to lose everything. Facing financial ruin, he agreed to smuggle drugs from Barbados, but was caught and sent to one of the world’s worst prisons, where he remained for over 3 years. 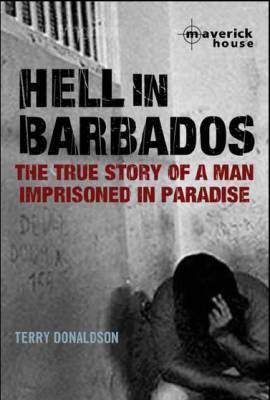 Honest and disturbing, Hell in Barbados is the true story of how Donaldson witnessed stabbings, beatings, shootings and a full scale riot as the prison went up in flames. In this extraordinary book, he describes the true horror of prison life in the Caribbean, the depravity that brought him there, and the years of brutality he was forced to endure.